Use Roots Excelurator in the first five weeks of growth. Prepare your nutrient container by first adding your base nutrient to the water container. Make sure the nutrient container has the correct EC and pH values. 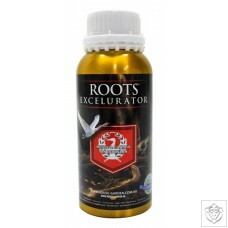 Then add the Roots Excelurator. The nutrient container is now ready for its first watering.